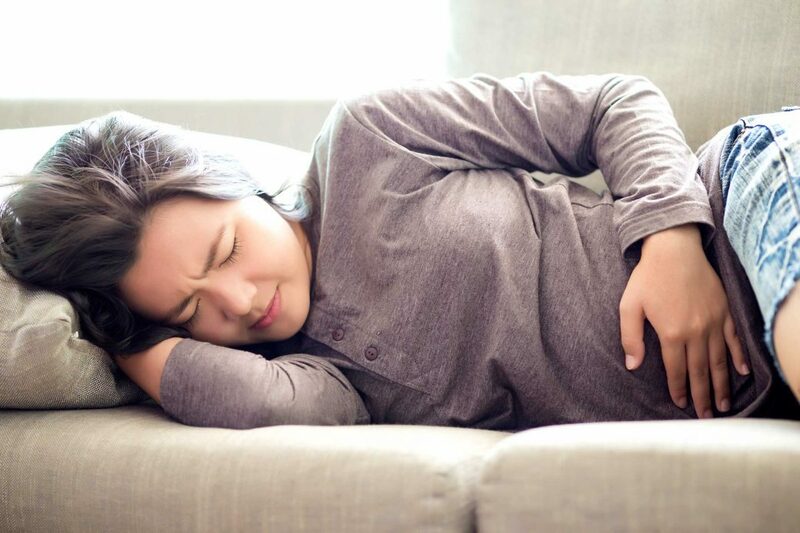 Did you know, 10% of women have endometriosis? That’s 176 million women worldwide. On average it takes 7.5 years from onset of symptoms to get a diagnosis. It took me 10 years. It was 1997, I was 16 and had just finished a GCSE exam. In a budget shoe shop, there I was, shivering, skin white, crying in agony under a cold stream of aircon. My school friend panicking whilst calling my mum to alert her of the state of her daughter. I was transported home, lying on the back seats of the car wailing, clutching my tummy in pain. An hour or two passed, and I was back in the land of the living. I then came on my period. “That was odd”, I remember thinking. Surely periods can’t cause that kind of pain? Maybe I was just a big wimp. Trips to the doctor for the next ten years were met with the same patronising smile, the same line over and over again… “Heavy and painful periods can be very disruptive. Here, take a packet of contraceptive pills and some painkillers.” I was told to take Paracetamol and Ibuprofen every 4 hours for a week over the time I was due a period to stop the ‘attacks’. These episodes continued, at work, at play, every other month or so. I began to get anxious about being in a dangerous place all by myself and not being able to get help. I never dared go out without my trusty painkillers and I finally got into the habit of popping a pill every time I felt a slight period pain to prevent the pain from taking over my body. At around the age of 25, I went to Greece on holiday with my now husband, Andy. I forgot I was due my period whilst I was away, and I hadn’t packed painkillers. I woke up one day being sick, but I put it down to a bit of holiday overindulgence. I went back to bed whilst Andy went off to enjoy his all inclusive breakfast. I started to panic as I felt the usual pain creep into my body. Having not taken his phone, I rushed down to the breakfast hall, propping myself on the chairs as I made my way through to find Andy. On doing so, the room went black and I passed out in front of my fellow holiday makers. I landed back in the UK and I demanded to see a doctor. He was a lovely man who used to say “Hello, my dear, you look very well” whenever I used to see him. He could see in my face that I wasn’t this time – it was probably the tears rolling down my face. He agreed that my symptoms needed to be investigated further, and after 10 years of begging Doctors, suffering pain, embarrassment, and anxiety, keyhole surgery was scheduled with suspected Endometriosis. The surgery was finished. I woke up with four holes in my stomach, three spaced from left to right, and one in my belly button. The surgeon told me he had freed up my ovary which was fused to my bowel with scar tissue. It was Endometriosis. I was handed some more contraceptive pills and was told to stay on these until I wanted to try for children to keep the Endometriosis from coming back. I asked the surgeon if he could see any issues with my fertility. He said “everything looks in good working order”, but I was still sceptical. For ten years I thought there was something severely wrong with my reproductive organs, and I would have trouble conceiving. I’d never allowed myself to imagine life with children someday, because of the issues I’d had with my monthly cycle. I decided that I didn’t want to take the contraceptive pills, so I remained pill-free. To my delight, month after month, the pain didn’t come back, and my periods were an absolute breeze to manage from that day forward. I could go out of the house without a bag full of painkillers, and step out in confidence. Four years after the surgery, I was able to get pregnant. There have been no signs of the Endometriosis returning, and I have a wonderful little boy. After just one morning in hospital, a week off work to recover, the ten years of suffering, the countless trips to the doctor, the pain, the unreliability and the embarrassment had finally ended. I get upset when I think back to the situations that could have been avoided if I’d have been taken seriously by my Doctors. Iâ€™m not surprised that it takes an average of 7.5 years to get a diagnosis. For those suffering with similar symptoms, be strong and don’t be fobbed off. Seek out some local support groups, talk to your friends. You’d be surprised how many people keep it quiet. I have two or three friends that I know of that have sought treatment and got better. Be bold, and seek the help you need… You don’t have to put up with Endometriosis.